PowerKids is Kingdom Harvest Church’s ministry for ages 8 & under. 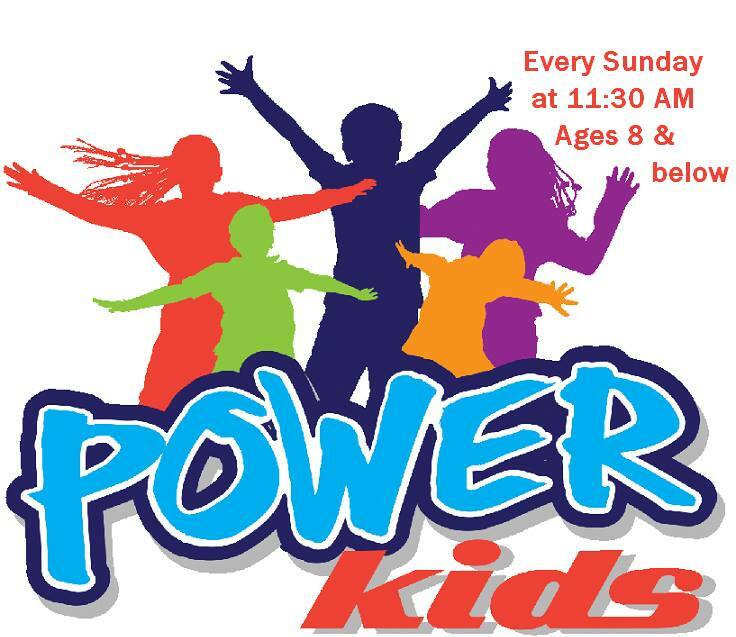 PowerKids meets every Sunday during our regular worship service at 11:30am. PowerKids allows the 8 & under age group to be ministered to on their own level, and gives them a small group setting to learn about God. A typical PowerKids service consists of a lesson, games, crafts, a snack, and/or a group activity (such as singing songs or watching a movie that goes with the lesson). PowerKids also allows parents of children ages 8 & under to worship God without having to worry about parenting for the entire service. Parents can rest easy knowing that their children are in the capable hands of our Kingdom Harvest Church volunteers. Once your kids have a PowerKids experience, they’ll be begging you to bring them back for more.